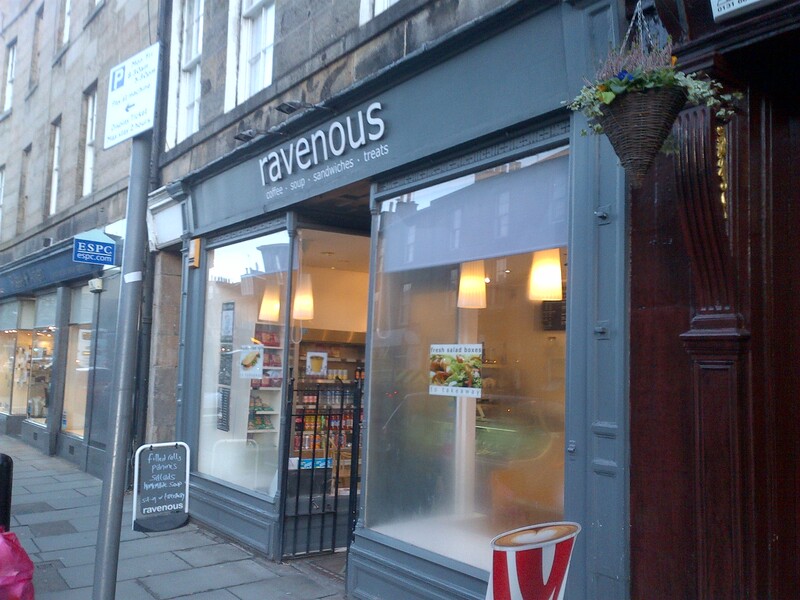 I’d visited Ravenous’ Howe Street branch, a while back, and found it to be a good little takeaway lunch spot. 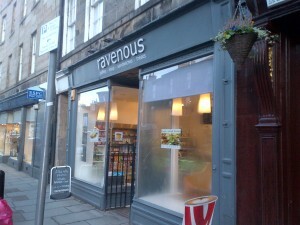 I’d passed their Stockbridge branch on a number of occasions, and today was the day for a visit. 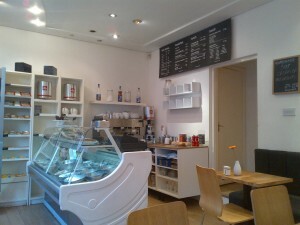 The place was lovely and bright, with an airy feel to it. The refreshingly crisp morning light bathed it in a rejuvenating splendour, making it look decidedly bonnie. My breakfast requirements were simple: avoid a third consecutive start to the day that involved fried pork products. To this end, I ordered their porridge, served plain, although jam and/or honey could have been added for a small additional charge. 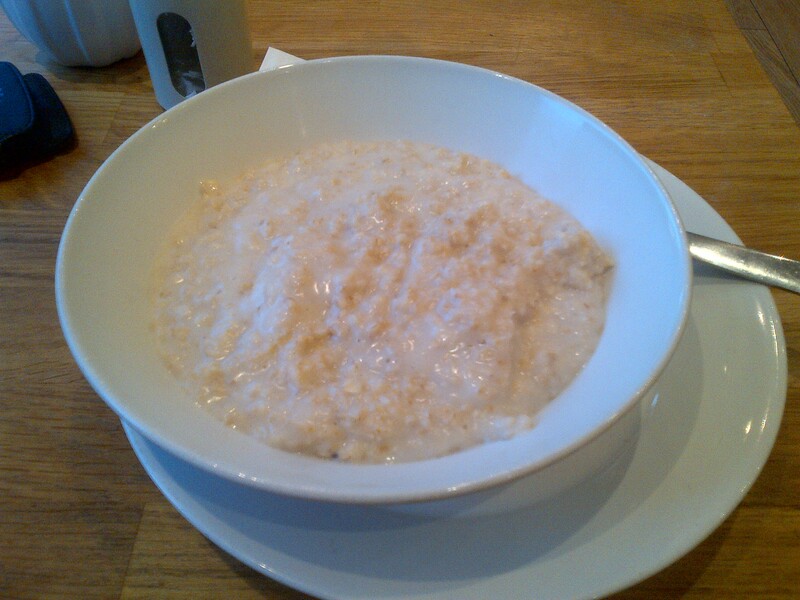 As you may recall, I’m a relative newcomer to porridge and it’s something with which I’ve struggled. I enjoyed my first exposure to it at Hula, and subsequently experimented with various versions at home, settling upon bacon jam as my favoured topping. I’ve generally struggled with the texture and lack of flavour, though. Today’s version was really quite impressive, though, both in its simplicity and its light texture. It had been seasoned really well, so I was happy with the good hearty oatiness of it. Service was accurate throughout, with the counter man disappearing to freshly prepare the porridge, then delivering it with a friendly word. So overall, I was impressed with Ravenous. They kept things simple, and delivered to a high standard. For a relaxing breakfast or tasty lunch, I’d be happy to recommend it.